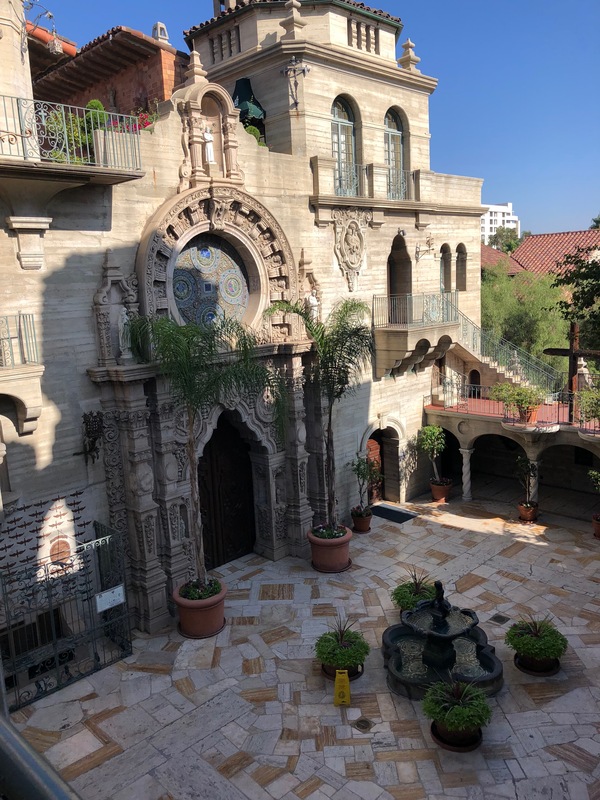 “It isn’t a real chapel.” I heard that twice last week; both speakers referred to the Saint Francis Chapel at The Mission Inn in Riverside, California, and both put the emphasis on “real.” It isn’t? 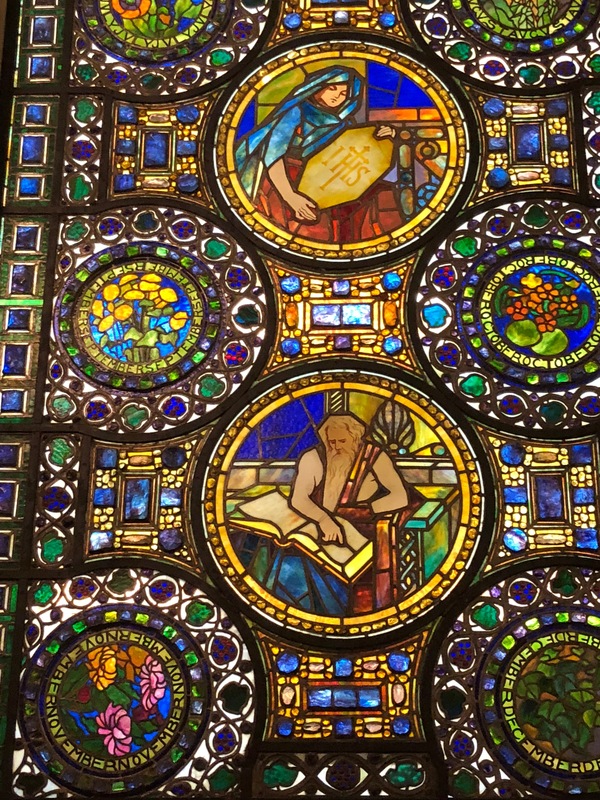 The place has Tiffany stained glass windows on a variety of biblical subjects, carved choir stalls, and a gilt altarpiece made for a private chapel in Mexico in the mid-eighteenth century. It is used for weddings. I think it qualifies as very real. Beloved and I travel extensively, and history is one of our primary interests. We seek out the old, the iconic, and the authentic. We ever seek out ruins and restorations, and avoid recreations. 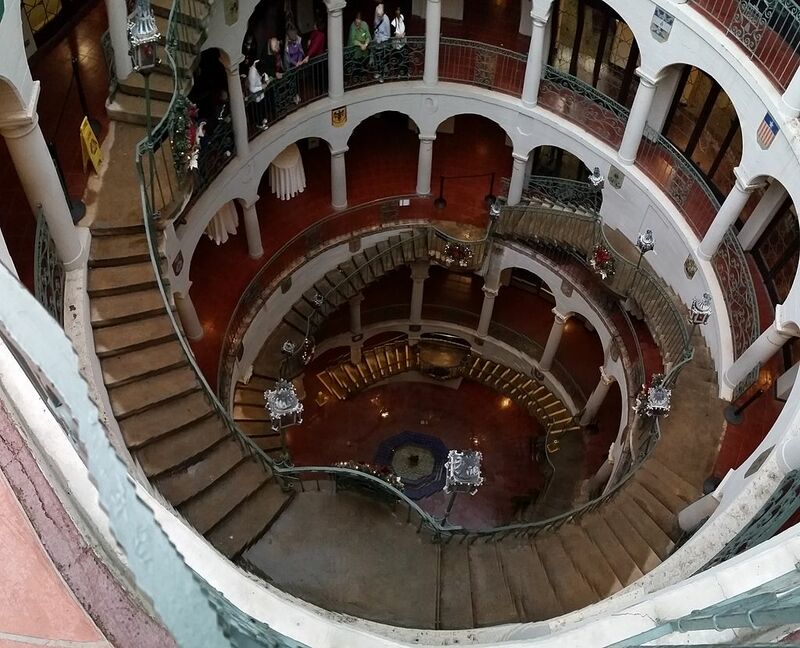 That said, I had enormous fun last week at the Mission Inn. Someone back home asked me if it was a “real” mission. Heck no! It is a Victorian fantasy of old California—but it is a genuine Victorian fantasy and rather a hoot. 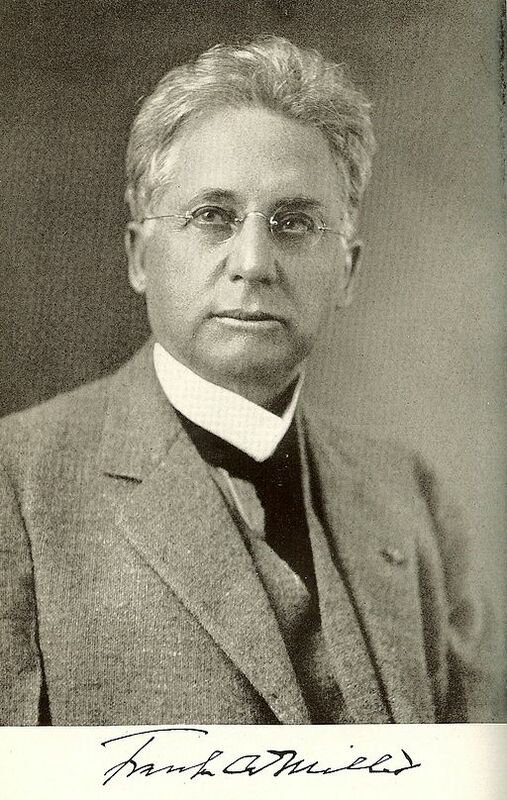 Frank Augustus Miller bought a twelve-room adobe boarding house from his father in 1880. As the city of Riverside grew, so did his ambitions for his hotel. By 1902 he built a massive U shaped inn with 84 rooms. Over the following thirty years he built on extensively, in random directions and various styles. I counted four courtyards, two chapels, a half-dozen fountains, four restaurants, two ballrooms, and a wine tasting room. Few rooms match, not even the guest rooms. The thing is, though, Miller was not just a builder; he was a collector. If his inn is eclectic, his collections are more so. Anne Rice, or at least her name over the door of the “Amistad Suite,” where she wrote one of the books in her Song of the Seraphim series. Rice’s imaginative and eclective writing fits perfectly with the setting. Nearby is “authors’ row,” an array of rooms opening on to a verandah that towers over most of the inn. It is unclear how many authors actually stayed there or if any, like Rice, wrote a book there, but both publishers Joseph Pulizer and William Randolph Hearst were guests. President Taft’s Chair, a massive seat built to accommodate the president’s girth. It appears he saw it but didn’t stay long enough to sit in it. The Inn loves to tout American presidents with any connection to the inn, however slight, from Benjamin Harrison who passed by to Richard Nixon who was married at the Inn. The oldest and the biggest bells in Frank Miller’s collection. 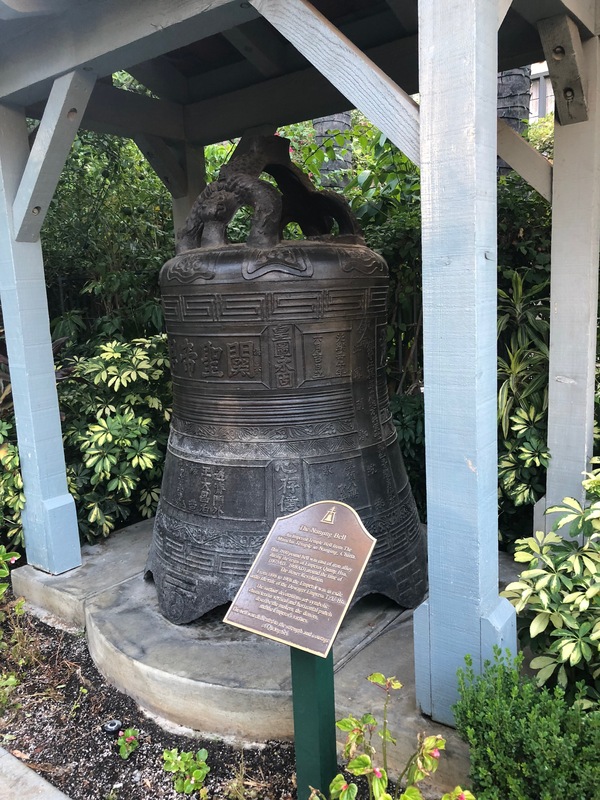 The oldest, dated 1247, is the oldest dated bell in North America, though a fellow participant suggested there may be some in Europe older. The biggest is the Nanking Temple Bell that dates from the time of the Boxer Rebellion. There are dozens of others bells throughout the place, including genuine mission bells. Booker T. Washington, or at least his statue among the bushes next to the entrance gates and the parrot cages. We found the statue of Frank A. Miller close by as well. The 1835 door and the smallest door still in use. You had to duck. The sheer number of unique doors made this harder than it sounds. The largest writing desk, the lost chord (an antique piano). We also found the two geese fountain. That was harder than it sounds because the geese in question are under the arms of a man and the statue and fountain are at the very bottom of the rotunda, a narrow multistory courtyard accessible by stairs, and (on some floors) elevator. From above you can’t see the geese. Faint-hearted as I am. I didn’t want to look down. We did not, alas, find the Japanese rising sun medal. It wasn‘t in the room with the eight foot tall Amitahba Buddha that was made in Japan sometime during the Tokugawa period (1615-1868). So how much was real? That depends on whether you mean “Did it exist in the 18th century?” or “Does it reflect its builder?” Frank Miller, Innkeeper, made his own reality out of treasures as well as bits and bobs. 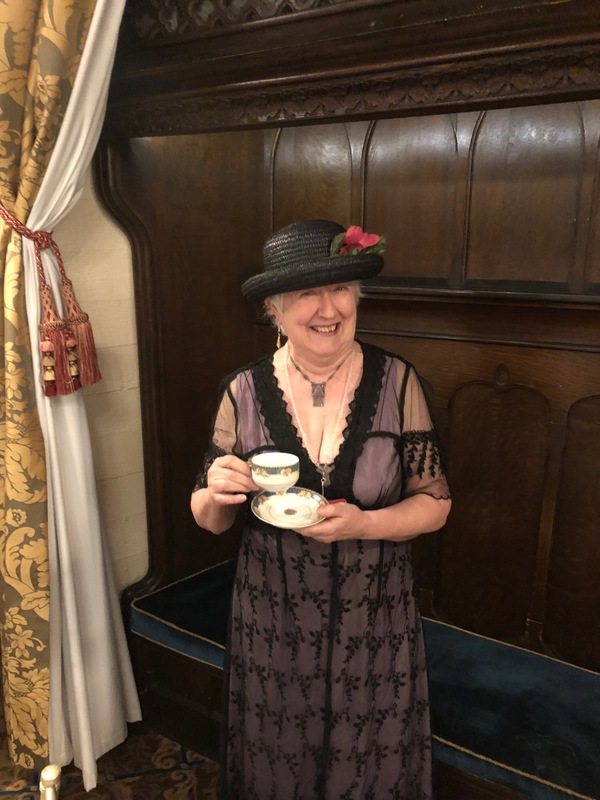 The Historical Romance Retreat brought me there, and his Inn served as a perfect backdrop for everyone’s fantasy, including mine. Wandering the Galleria with a couple of hundred costumed romance fans, it didn’t matter. As Will Rogers said, “It’s a monastery, a museum, a fine hotel, a home, a boardinghouse, a mission, an art gallery and an aviator’s shrine. It combines the best features of all of the above.” Besides, History Imagined lives at the boundary between history and fiction. So does the Inn. This sounds like a place not to be missed! It may not be “real” by some people’s definition, but it is real California! Think Hearst Castle and the Winchester House. Both fascinating not only for their structure and design, but also for who had them built and the famous and/or infamous who visited within their walls. Great post Caroline! Sounds like you had lots of fun!